Your SEO strategy will remain incomplete unless you capitalize on the power of videos. Cisco predicts that by 2021, 80% of online traffic will be video. One of the key drivers of this traffic will be live video. 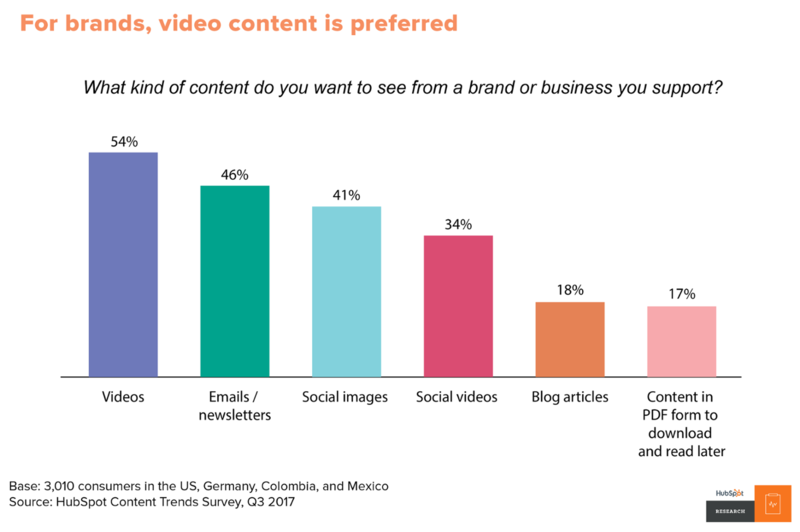 Besides, online video counts for half of mobile traffic, and people prefer watching videos of their favorite brand rather than reading blog articles or emails. A study by Hubspot content trends survey proved it. These stats prove the importance of including videos in your SEO strategy. 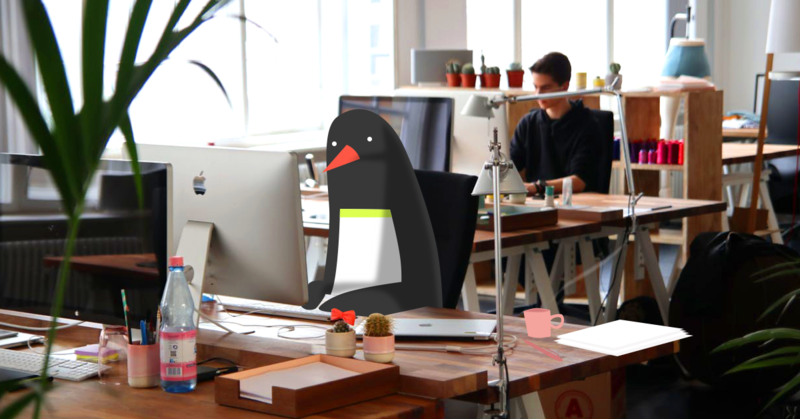 But...does video REALLY help SEO? The KPIs for SEO are branding, traffic and conversions and video is a great way to boost all 3 of them. It can solidify your branding efforts, generate tons of relevant traffic to your website and, most importantly, help that traffic convert. Moreover, videos can help earn you valuable backlinks. Content creation is a great opportunity to generate publicity and build backlinks as suggested in this ultimate link building guide and by Neil Patel in this guide to video SEO. 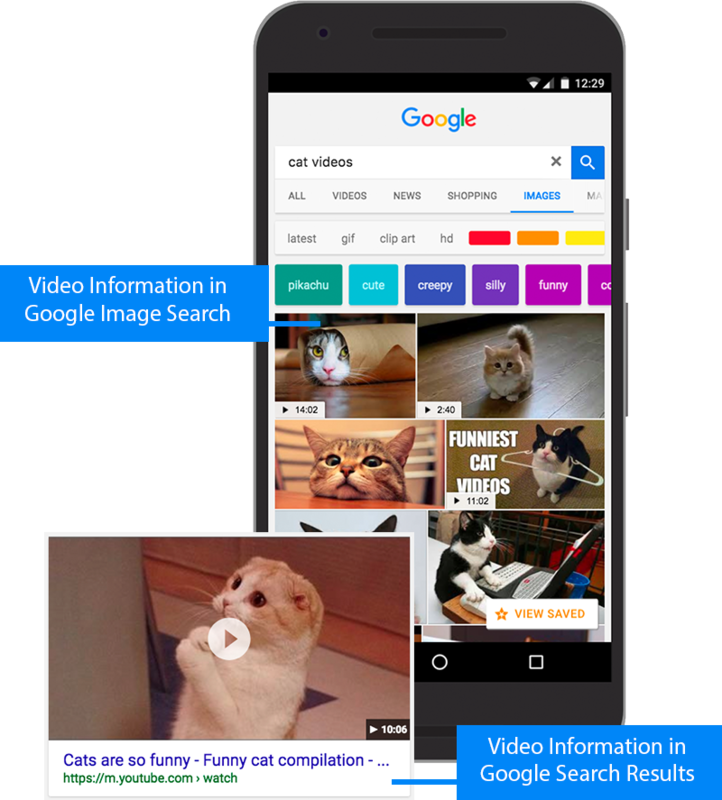 So, how can we correctly use videos in our SEO strategy? Create a survey and reach your target audience. The survey should be able to get data on the problems faced by the people and their interests. Gather data related to the demographics, behaviors and interests. 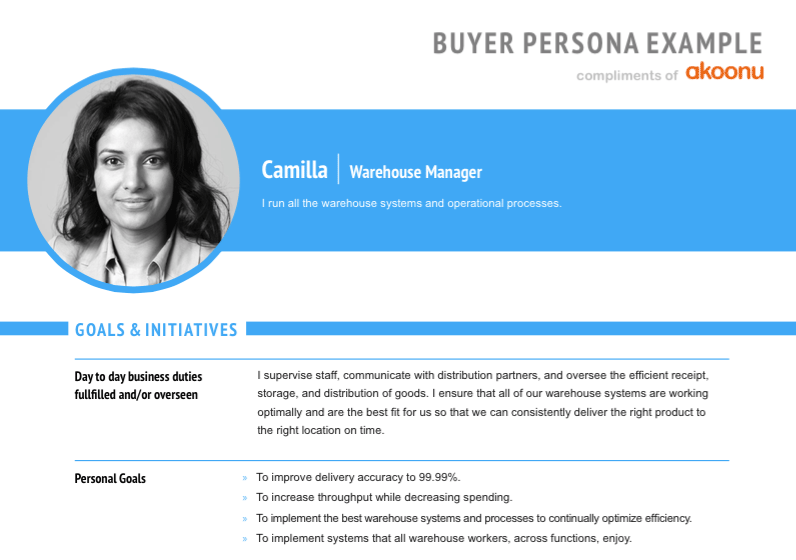 Organize the details into separate personas and name them. 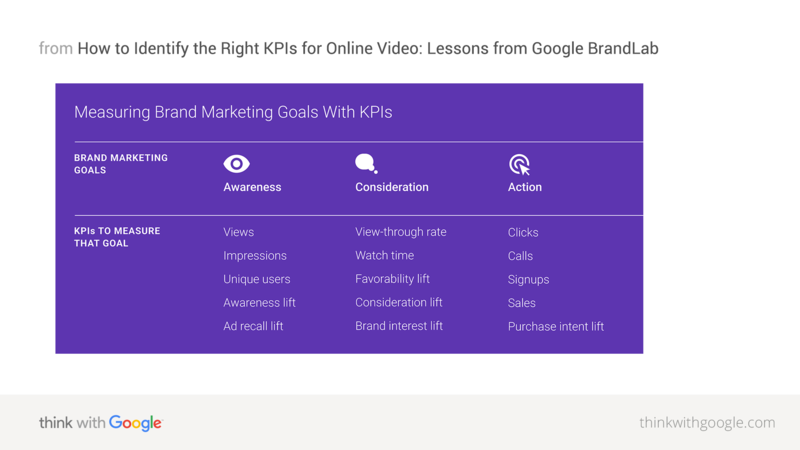 Finding the right keywords to optimize your videos is the key. YouTube Keyword Tool is the best way to create your video keyword list. Simply enter your target keyword and this tool will offer keyword suggestions along with search volume, CPC, trend and competition. It is true that videos are able to increase the dwell time which in turn pushes up your site higher up in the search rankings. Dwell time is a measure of quality content as suggested by Bing and targeting the right keywords is the key to create super useful videos for your audiences. If you think the length of your content matters only for text-based content then you are wrong. The length of the video plays a significant role in getting your video higher up in the SERP. A study was conducted by Wistia which showed that aiming for a 2-minute video generates the maximum engagement. Video transcription is the process of translating the contents of your video into text. Videos having proper transcripts are ranked well by the search engines as compared to the ones without transcripts. The reason is quite obvious; video transcripts allow search engines to properly understand the contents of the video and this, in turn, boosts your SEO. 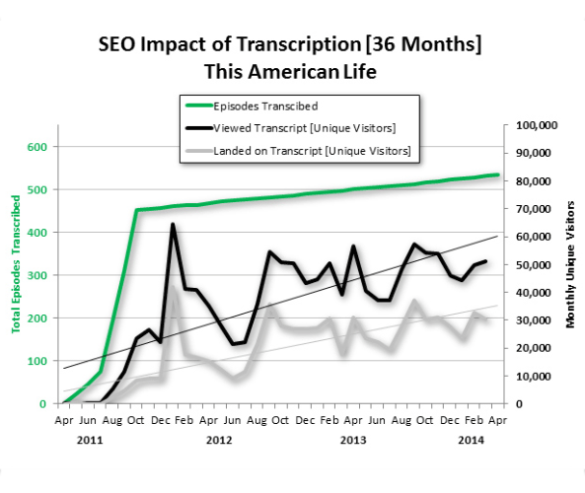 A case study by 3Play media on the effectiveness of adding video transcripts revealed that the weekly radio program, This American Life, was able to increase traffic by up to 4.18% and acquired 3.89% new links just by adding video transcripts. There are two ways to create a transcript for your video. First is to have it done automatically using artificial intelligence. 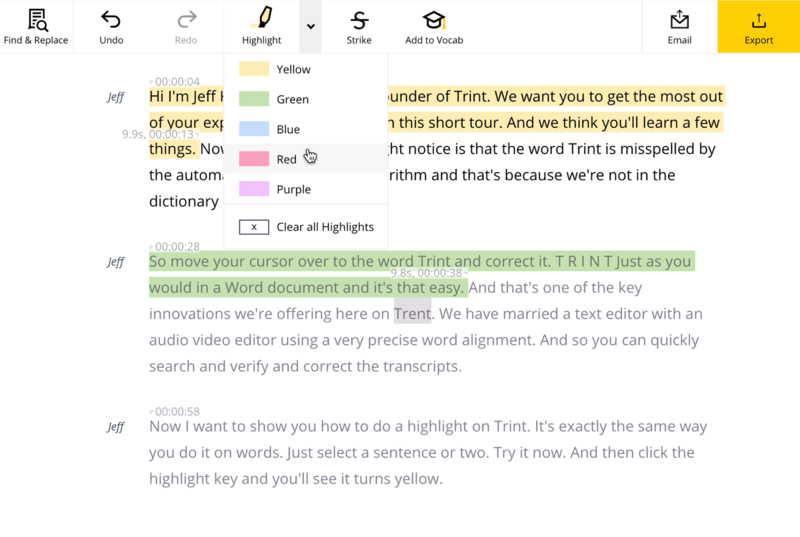 Trint is one such software that automatically transcripts your videos and generates searchable, editable transcripts within minutes. The second method of generating transcripts is to get it done manually by hiring a video transcript service. Videos provide a great chance to feature your business under suggested clips for question-based keywords. Videos that are featured under suggested clips are fetched from YouTube. Hence, it is important to upload your videos on YouTube so that they get a chance to rank under suggested clips. Moreover, if people are searching on Google having the word ‘video’ in it then videos are displayed at the top of the search results. Again, videos are fetched from YouTube so it is another great chance to showcase your business and grab a share of the search real estate. 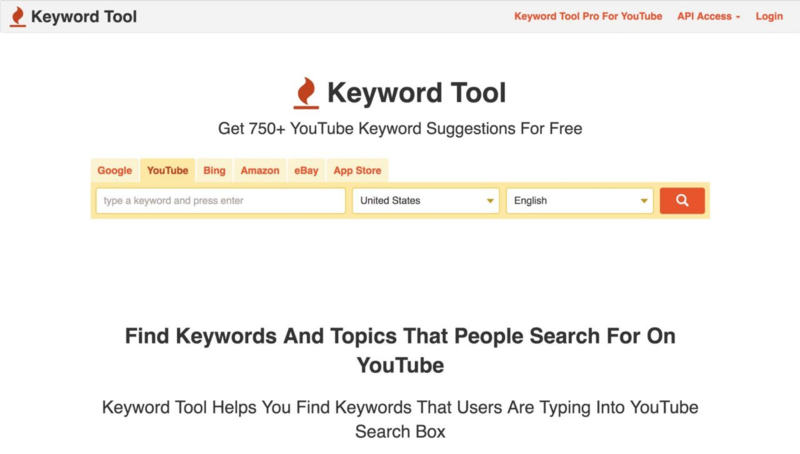 Step 1: Find the right keywords using the YouTube keyword tool as suggested above. Step 2: Prepare the right metadata for your video. Make sure to inform your viewers why your video is important to watch and include tags under the tags section so that the users are able to quickly find your video. It is important to note that you do not use misleading video description else your video might get removed. Step 3: Take the help of YouTube analytics to understand which video is generating the maximum views and constantly monitor the progress of other videos. Bonus: Have a look at this tutorial that provides some great examples along with proper explanation to feature your YouTube video under suggested clips. You should not underestimate the power of live videos because they are a great way to improve your overall branding efforts. The Facebook News Feed algorithm* *ranks live video ahead of every other content type. Hence, live video streaming is a huge opportunity for the brands to broadcast to the largest audience of the world and get seen. 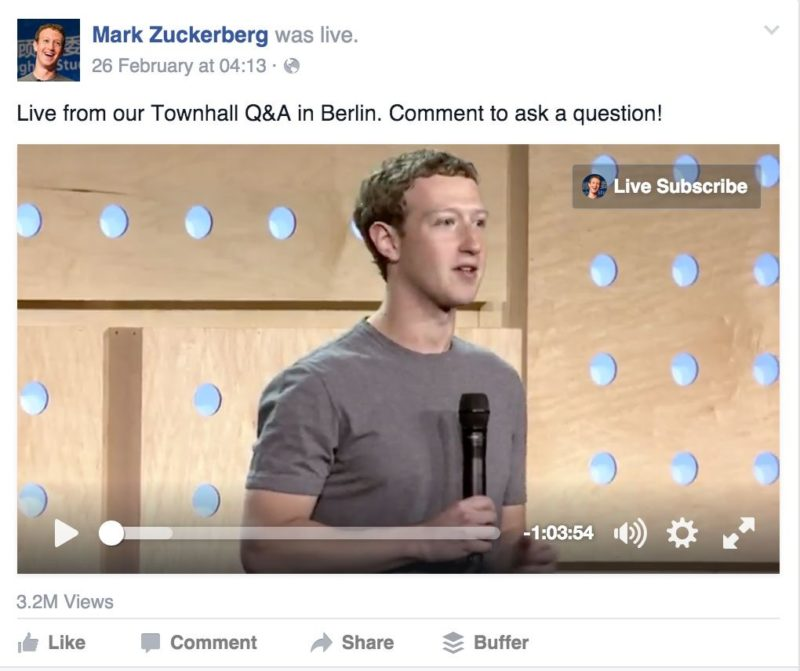 No wonder, Mark Zuckerberg uses Facebook live to reach audiences whenever he wishes to convey any messages. Facebook suggests that you give your audience at least one day’s notice so that they can prepare themselves for the video. Promote your video by running ads that informs the prospects about the time and date of your live video. Here is a simple Facebook Ads strategy guide that will help you to set up your campaign. You can also cross-promote your pre-video post across all your social channels and blog. Also, take the help of Sprout Social’s Facebook Analytics that will tell you the best time of the day to go live depending on when your customers interact with you the most. First step is to correctly set up your Google Analytics on your site. In case you are running a WordPress site, then follow this tutorial to add Google Analytics to WordPress. Once you have the basic analytics set up running, you can use the Facebook Live API to track the success of live videos. Now that you have understood about the importance of videos in your SEO strategy and identified the platforms to host your videos, let’s learn about the last but not the least step i.e. optimizing your videos. Make sure that your videos are easy to find and play even on mobile devices. Keep your site speed as fast as possible. 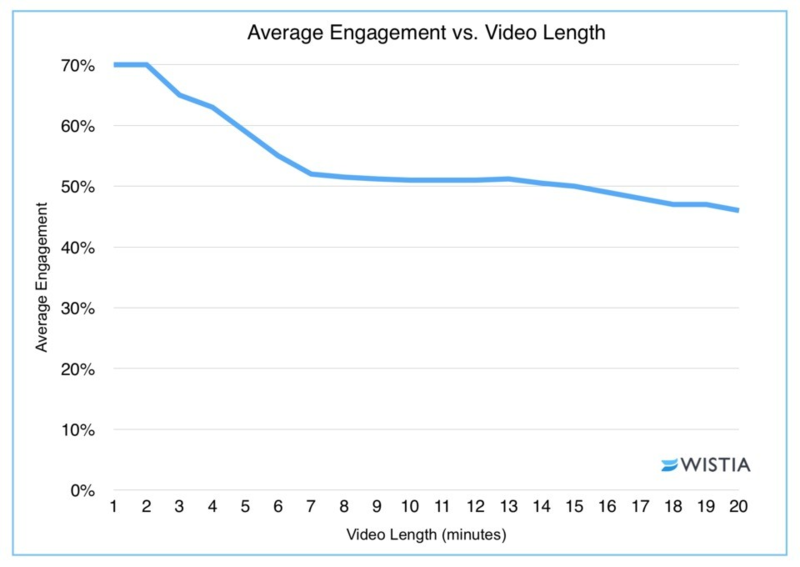 Videos that load faster generate a higher engagement. 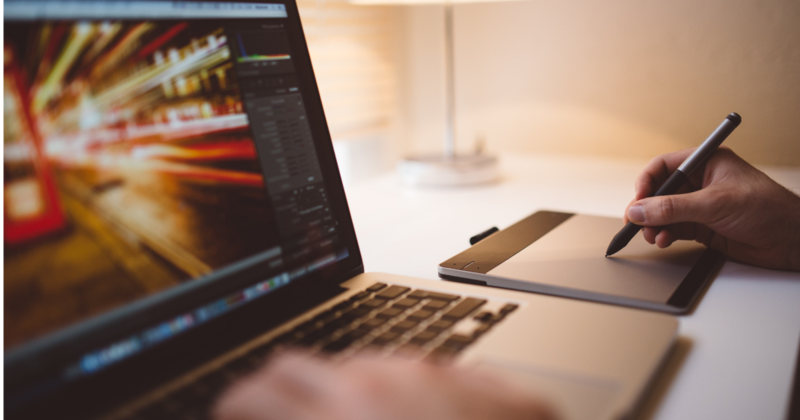 Follow these 6 tips to optimize your site speed. Add a video thumbnail image that accurately describes your video. Make it enticing so that people are persuaded to click on it, because these will get shown in the SERP. Add relevant title and description for your video because this is where you will be targeting your major keywords. Design your entire webpage around the video. Do not add video at the end of every page if it doesn’t demand. Have pages that are relevant and optimized for video. Your video should be the main focus of the page. Do not add more than one video in any page. Pages having a single video are more likely to be displayed in the search results. Do not use the same video on multiple pages because this will confuse both the users and the search engines, resulting in decreased organic presence. Add proper captions to your videos. 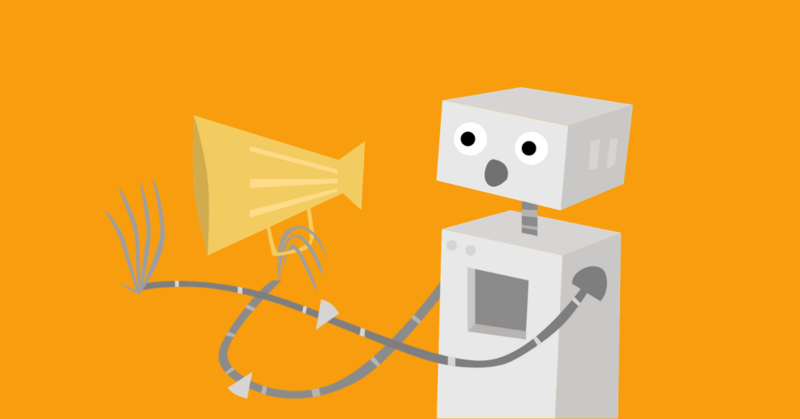 Add video transcript for each and every video that you upload. Mark up your video content with structured data to enhance its visibility in the search results. Have a look at this example of a standard video markup using JSON-LD. Give a boost to your videos by promoting them using Facebook ads. Keep an eye on the engagement metrics for your videos and continue optimizing them to have a better user experience. Always remember that positive feedback from your audience is one of the most crucial ranking factors for your video. Video SEO is crucial to your entire marketing strategy, and it’s changing rapidly so you need to stay at the top of the trends. 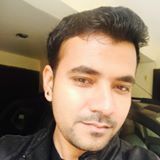 Follow the advice given in this article and decide your own video SEO strategy in order to gain lots of organic traffic and conversions. YouTube is the single most important channel that you need to focus because it can help you get traffic directly from YouTube and also from Google. Moreover, do not underestimate the importance of other channels like Facebook live, because it will help to establish a connection with your audience. Happy videoing!